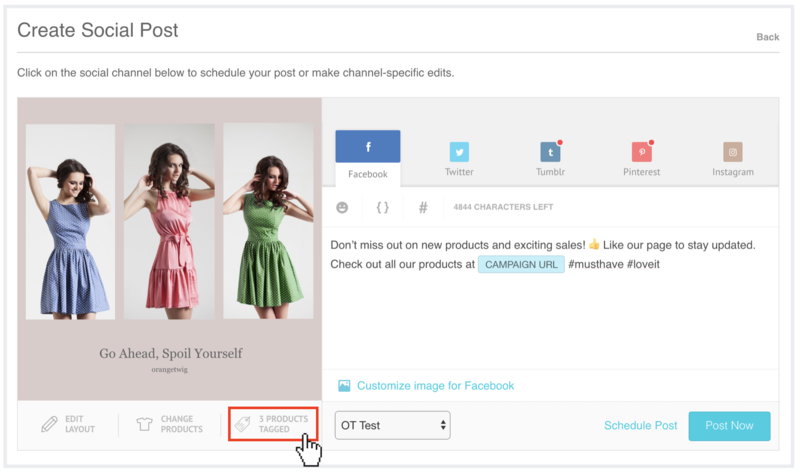 A tagged product in an Socioh layout becomes instantly clickable. This means that your buyer no longer has to go to your shopfront and search for an individual product. 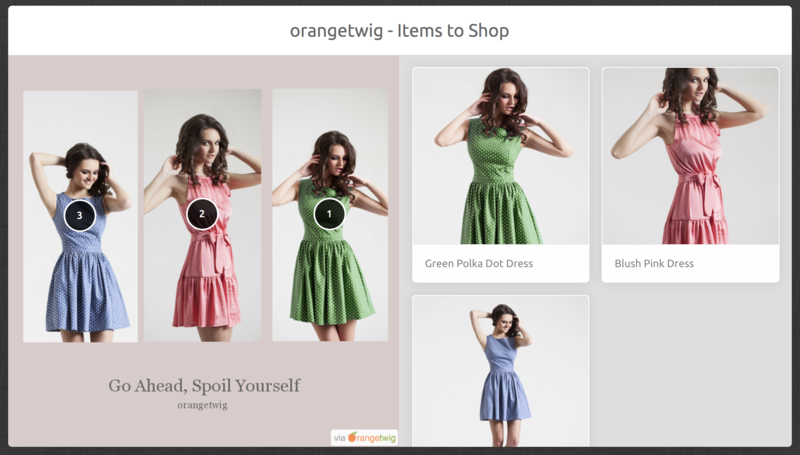 Instead, one click takes them straight to the product page in your store. How do I tag products? Currently, product tagging is available only for 'Share a Poster'. 2. Select the type of poster, products and theme. 3. 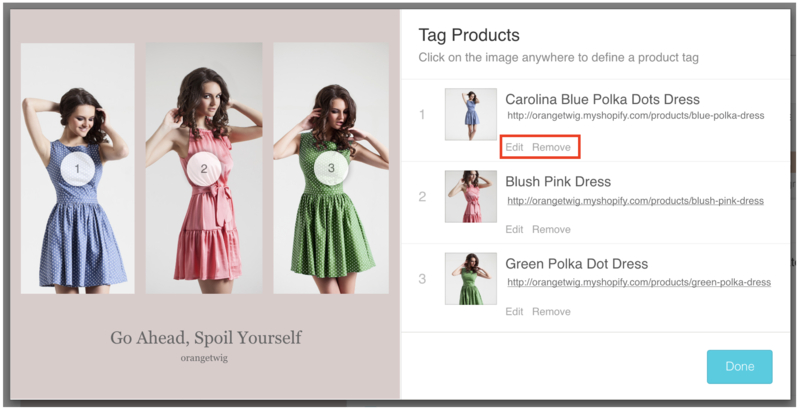 Products in your layout will be automatically tagged. 4. Click 'Tagged Products' below your layout to view and edit tags. 4. You will now see numbers on each product in your layout. The details for each tag are in the right column. You can edit or delete any tag from here. 5. To add a new tag, click anywhere on your layout. In the right column, you will be able to enter the tag details. Click on 'Add Tag' once you're done. PRO TIP - If you sell complementary products, add them as tags to your layouts. e.g. 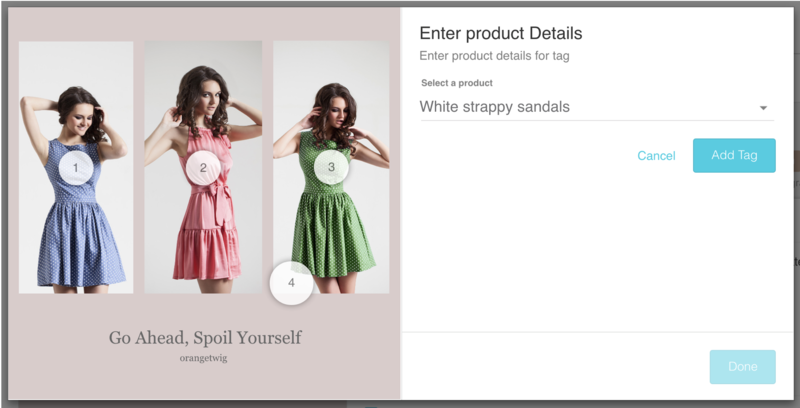 In the above layout, I added a 4th tag for 'White strappy sandals' which complement the dresses in the layout. When your layout is shared on social media, a link will be automatically included in your post caption. Since there is only one product in this layout, clicking on the link will take your buyers straight through to that product's page in your online store. This works a little differently. 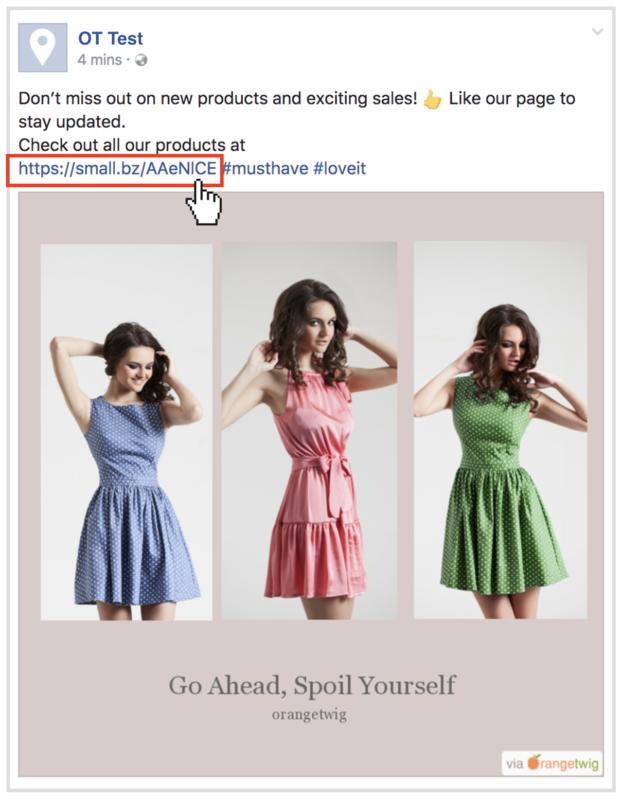 In this case, clicking on the link in the caption of your social media posts will take buyers to a page where all the tagged products are listed. Click on any product to see all its product photos. And click on the 'Details' button to go to the product page and purchase product. How can I edit the product tags?